Tablescaping In The Great Outdoors! Bon Voyage to Bon Appetit! Also, signed up to follow your blog! Love tablescaping!! My goodness! You have so many beautiful china patterns! So do I! you’ve inspired me to get them out and use them! I’ve never set a table as fancy as yours! You are so talented!!! Thanks so much, Cindy! Wishing you a fabulous of week! I have never seen such a beautiful array of tablescapes in my life! I will be signing up for your blog so I can keep going back to them. Wait! What? 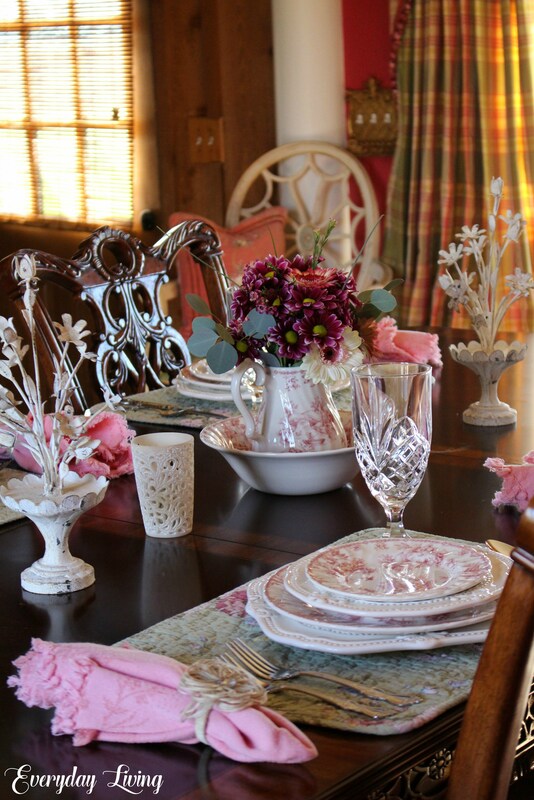 All these table settings are in your own home? They’re gorgeous…but where in the world do you store all these dishes & linens?!? Diane, thanks so much for the visit! Fortunately, I have lots of cabinets…but, I am running out of storage! Happy Monday!